Heat oven to 375°F. Line cookie sheet with cooking parchment paper or a silicone nonstick baking mat. 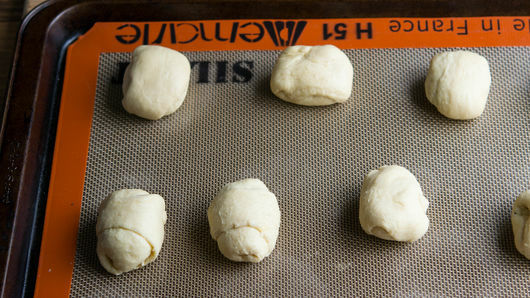 Unroll 1 can (8 oz) Pillsbury™ refrigerated crescent dinner rolls; separate into 8 triangles. 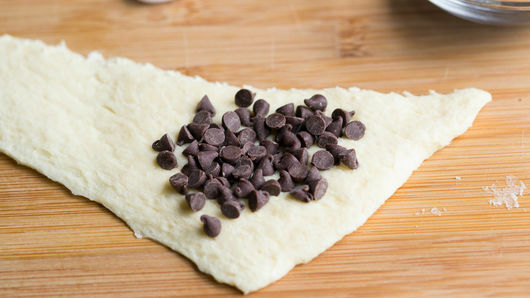 Place about 1/2 tablespoon miniature semisweet chocolate chips on shortest side of each triangle. Fold 2 sides of each triangle up over and around chips. 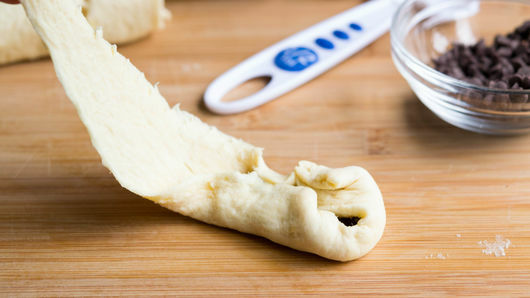 Bring long point of each dough triangle up and fold over chips; press to seal dough edges. Roll each bundle between palms of hands to form an egg shape. Place on cookie sheet. Bake about 8 minutes or until golden brown. Remove from cookie sheet to cooling rack. Cool completely, about 20 minutes. 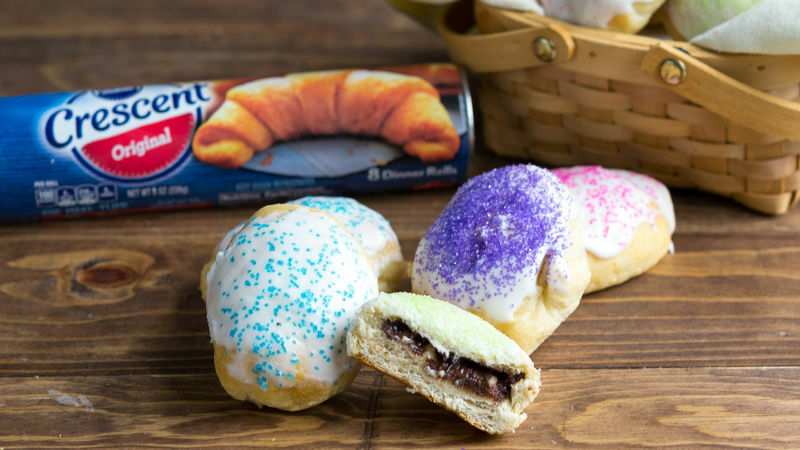 To frost, in small microwavable bowl, microwave 1/4 cup vanilla creamy ready-to-spread frosting on High 15 to 20 seconds or until melted and stirred smooth. 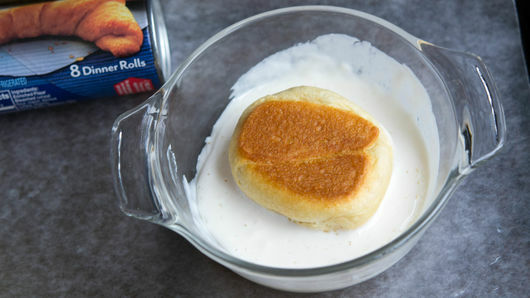 Dip tops of each baked roll in frosting. Sprinkle with colored sugars or candy sprinkles. Serve warm or cold. Store in airtight container up to 3 days. Instead of (or in addition to) the chocolate chips, spread your rolls with peanut butter, jam or use your favorite candy. Instead of using the frosting, melt some extra chocolate chips and drizzle over the top. The frosting will dry but not harden completely. If they are stacked, some frosting may transfer.